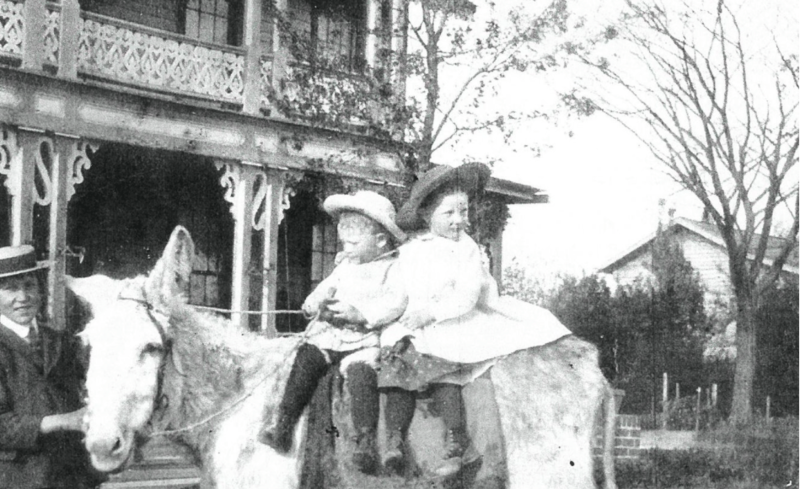 We dipped deep into our century-plus design archives to find a quintessential traditional design that will withstand the test of time. 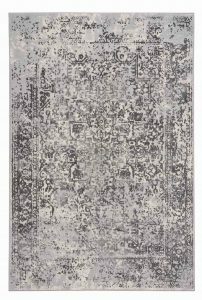 The winner: Makrana, an eloquently elegant rug made modern with distressing. The popular collection is adding two additional colorways this winter – alabaster and mink. 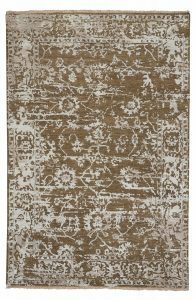 Hand knotted in India of a wool and viscose blend, this collection comes in 3’6″ x 5’6″, 5’6″ x 8’6″, 8′ x 10′ and 9′ x 12′ sizes. A 5’6″ x 8’6″ rug may retail for $1,799. This collection of luxurious hand knotted rugs add a beautiful view – or Tasanee in Thai – to any floor. 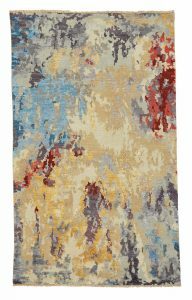 Made in India of 75% wool and 25% viscose, Tasanee comes in amber multi, morning dove and ocean colorways in 5′ x 8′, 8′ x 10′ and 9′ x 12′. 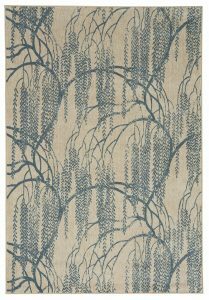 A 5′ x 8′ rug may retail for $1,949. 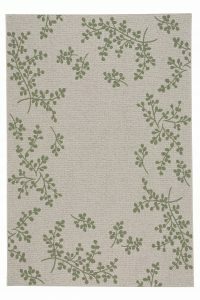 A transitional rug design of 100% New Zealand wool constructed in Moldova on Wilton looms with a lush pile. Interpreted with a painterly hand that provides a fresh perspective on the brocade motif, Gilded Age is available in three colorways: nickel, azul and ivory mist. The rugs are available in Sizes include 3’11” x 5’6″, 5’3″ x 7’6″, 6’7″ x 9’10”, 7’10” x 11′ and 9’2″ x 12’5″, with a 5’3″ x 7’6″ model retailing for $599. 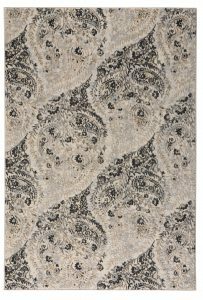 Fiore is a new Wilton-woven, machine-made traditional design with a paisley motif in three colorways — flagstone, marcasite and Adriatic blue. 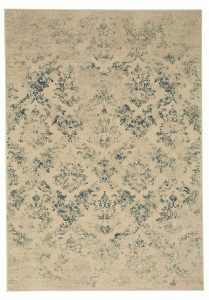 The rugs feature a subtle, soft texture with intricate construction and color. A mix of 50% polyester and 50% olefin made in Turkey, Fiore may retail for $449 for a 5’3” x 7’6” model. Sizes available include 3’11” x 5’6″, 5’3″ x 7’6″ and 7’10” x 11′. Our Milagros collection is a treasure trove of timeless classic design. Available in an enduring palette enhanced by its weathered appearance in blue steel, charcoal and greystone. The unique 50/50 blend of olefin and polyester shrink yarns create dramatic depth with various pile heights. The machine made rug is woven in Turkey on Wilton looms. Sizes include 3’11” x 5’6″, 5’3″ x 7’6″ and 7’10” x 11′. A 5’3″ x 7’6″ rug may retail for $449. 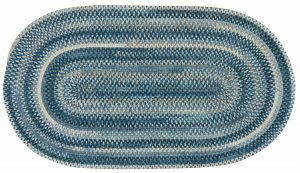 Available in azul and champagne colorways in 3’11” x 5’6″, 5’3″ x 7’6″ and 7’10” x 11′, Willow is made of 100% olefin on Wilton looms in the United States. A 5’3″ x 7’6″ size retails for $599. A new fashion-forward design being added to the Biltmore® For Your Home program, Finesse Lattice is machine woven in Belgium of 100% olefin. 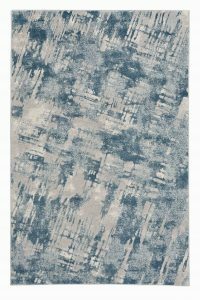 The transitional rug features a lively geometric pattern and is available in five on-trend colorways — charcoal, noir, capri blue, navy and barley. A 5’3” x 7’6” rug may retail for $149.